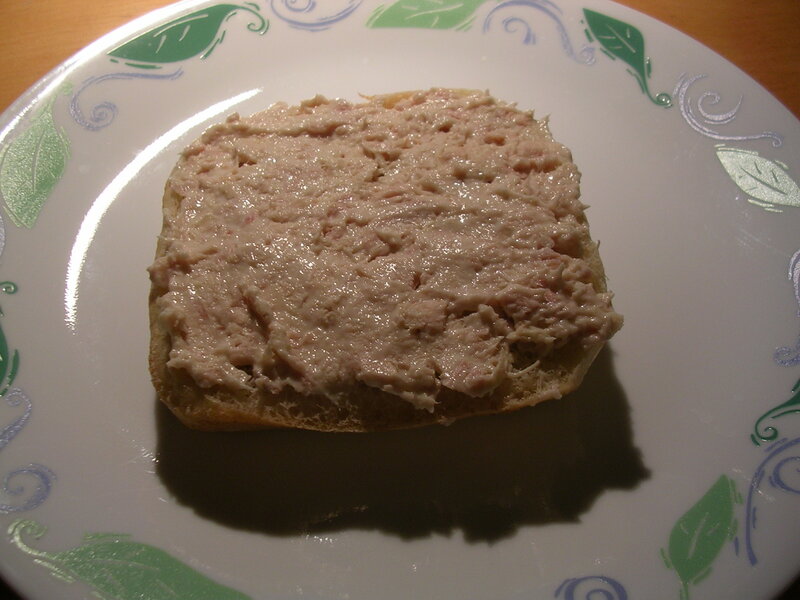 Open faced tuna salad sandwich: 1 piece of Sourdough bread (175 calories) with 2 oz. of canned tuna (70 calories) and 1 tbsp of low fat mayo (25 calories). I was kind of in a rush since I was originally planning to eat the bread with some canned soup, only to find some suspicious floating yellow blobs in the can, even after opening two different cans. So I threw together the tuna and mayo at the last minute and ate it on the bread with some water. Not all that exciting, and my stomach was grumbling during my class at 4pm. Oh well. I'm sure you'll see me eating the tuna salad with other things since I don't want the rest of it to go bad. 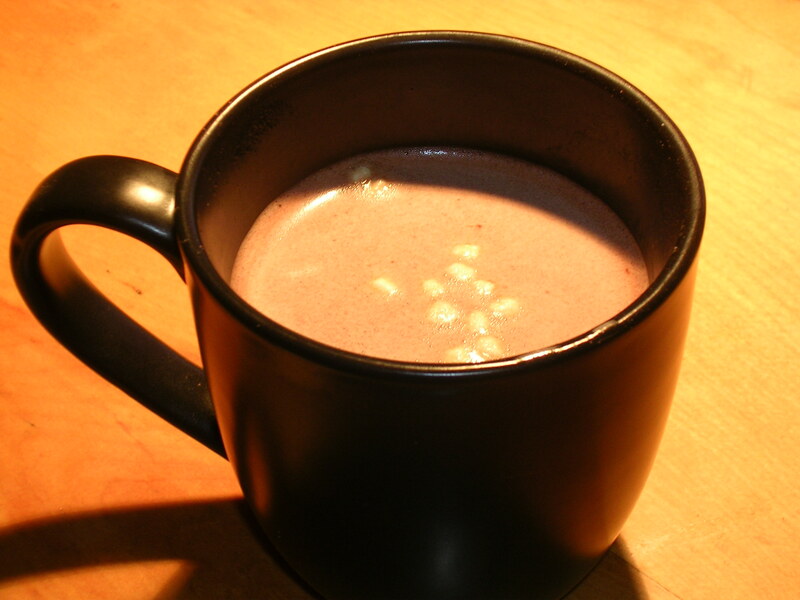 1 mug of Swiss Miss hot chocolate with mini marshmallows (120 calories). I just wanted something quick and easy to hold me over until Baker dining opens at 5:30pm. Unfortunately I diluted the hot chocolate mix with far too much water and it had very little richness. Oh well, you screw up and you learn. 6 oz. 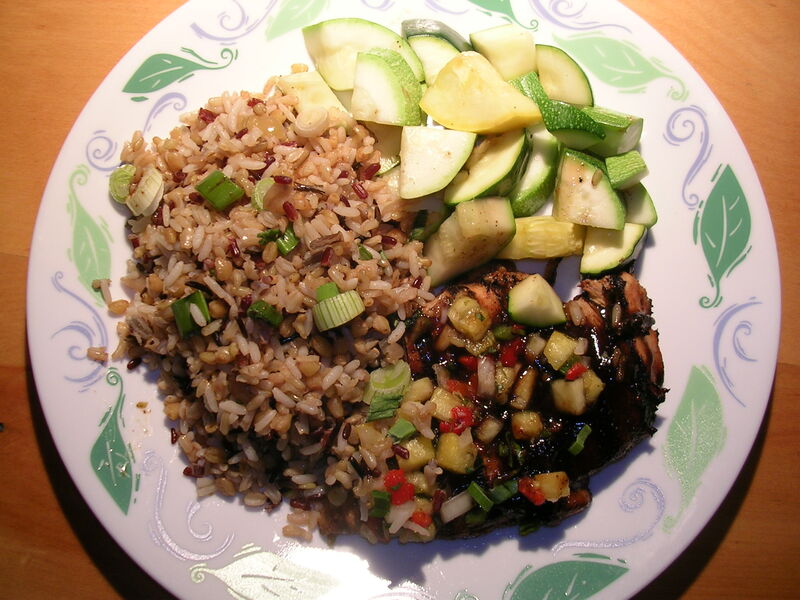 grilled chicken breast teriyaki with salsa (250 calories), 1.5 cups of mixed rice (whole grain texmati brown rice, red rice, pearl barley, and rye berries, 320 calories), and 1 cup of summer zucchini (30 calories). Haha it's kind of scary how "healthy" this entree is. The chicken was actually really tasty, moist despite being grilled, and flavorful from the sauce. 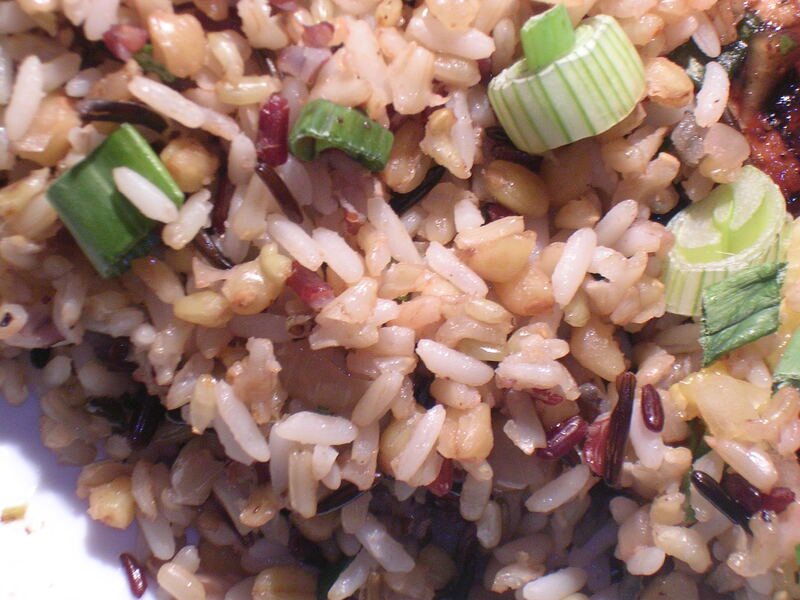 The rice was well… healthy. I mean it's chewy like brown rice, except with even more texturey bits. Being Chinese, I grew up eating soft white rice, so I'm not as fond of drier, chewier types of rice (although long grained rice is good). 1/4 of yesterday's chocolate mousse torte (~ 100 calories), followed by 1 Viactiv vitamin. Yum! 4 oz. of tuna with 2 tbsp of low fat mayo (190 calories), and 0.5 oz of pork sung, also known as "rou song" 肉松 (65 calories). Needed something to eat, but wasn't in the mood for anything sweet or citrusy (I had taken out a grapefruit to warm up to room temp, but I just didn't want to dive into a big sour fruit haha). Anyway, the tuna and pork sung were pretty satisfying, and they go surprisingly well together! I'd take a picture of the pork sung for your enjoyment but it's late and I want to go to bed soon (it's 4:30am as I'm typing this). Maybe next time eh? Total for today was about 1350. Doing good! Tomorrow morning when I go in to lab there's going to be the weekly lab meeting where breakfast is provided. I usually end up splurging on it a little because there's only so many food options and oh cause it's free haha, but it ends up being my breakfast plus lunch too, so it works out. You'll hear back from me tomorrow about that. Good night! This entry was posted on Tuesday, March 13th, 2007 at 9:08 pm	and posted in American, beverages, desserts, pork, poultry, seafood, snacks, Uncategorized. You can follow any responses to this entry through the RSS 2.0 feed.